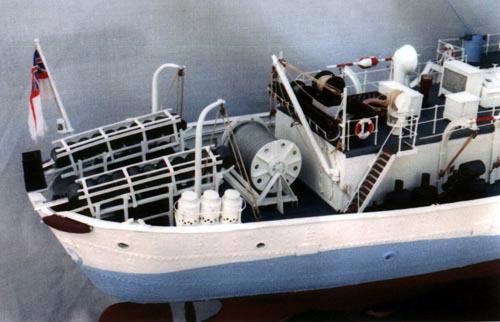 Richard is building a Fleetscale semi kit of the HMS Byrony. 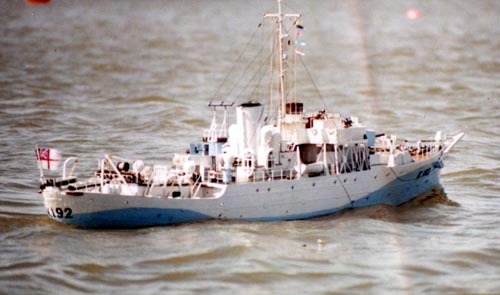 He became interested as a boy in these ships after reading Monserrat's "The Cruel Sea" back in the late 50's. Now he is finally getting a chance to have one although the project of turning the Bryony (an extremely long focs'l) into a version of the Compass Rose he will leave for the next effort. As to the kit itself, no major complaints. 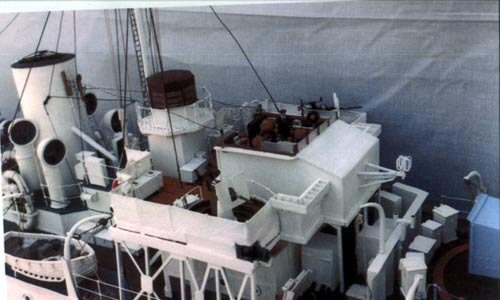 You get the hull, plans and two bags of resin parts. The hull has a slight twist in it but as an old full size fiberglass boat builder I sympathize with trying to mold something in this size. I was able to get most of the twist out when I decked her. 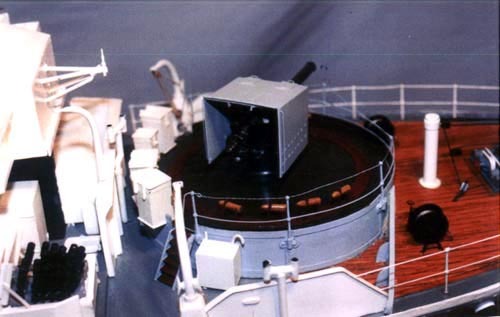 When Ron saw the pictures of Richard Setter's Bryony, he was kind enough to send in a couple of photos of his 1/32 version, which depicts her just after her commissioning in June of 1942. 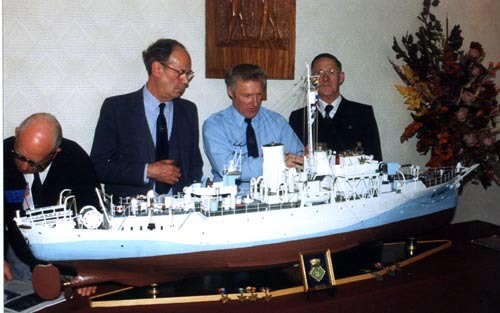 These photos were taken at Leamington Spar, with members of the crew looking at the model of their former ship. Ron lives in Runcorn , Cheshire in the United Kingdom. 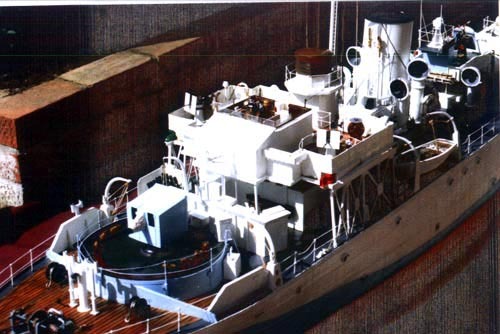 Well, theme of this gallery is developing large scale Flower Class corvette models. 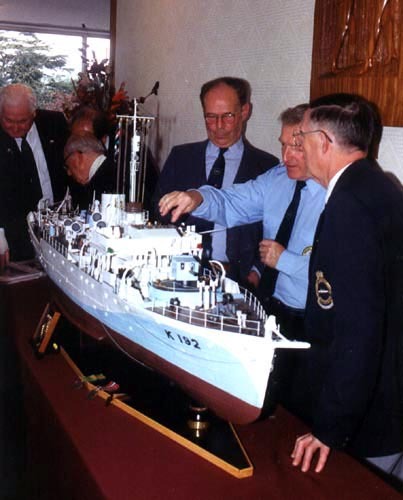 Ken Parker, of the Surface Warships Association - UK, sends in these photos of his 1/48 scale model rendering of this Canadian Navy flower.